The Punta Gorda Chamber of Commerce is committed to improving the local business climate, because we believe that, when your business succeeds, our community also prospers. The true value of the Chamber is its diverse membership, which is made up of both large and small businesses. There’s a lot to discover about YOUR Chamber and the many opportunities available to enhance your own business. We invite you to come and join us and to learn about how the Chamber operates to assist you. We have three major events per month – each attract a large crowd for networking, so reserve your spot early. As a member you will receive a weekly e-news bulletin, that keeps you up to date with everything we are doing to assist you in your business. For the early risers, we offer a monthly Business over Breakfast (affectionately called BOB). It starts at 7.15am and runs approximately one hour, allowing you to get to the office on time. These BOBs take place on the second Wednesday of each month (check Chamber Events for full schedule). Our Networking Luncheons take place the last Wednesday of every month and are now sell-out events. Each lunch has a business related theme and a guest speaker is brought along to address this issue. The luncheons start at 12.30pm and finish around 2pm. They allow time for networking and business promotion. Locations rotate to various local restaurants – check the Chamber’s events schedule for the next one. Then we have our monthly Business After Hours (BAH). The BAHs take place on the 3rd Tuesday of each month and start around 5pm till 7pm. A room full of people is potential clients for you. To inquiries from people relocating to the Punta Gorda area. 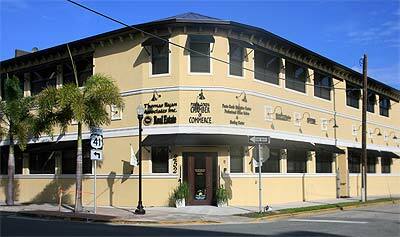 We welcome newcomers to our office in downtown Punta Gorda every day. Plus we respond to telephone and email inquiries from visitors daily. Consumer inquiries, offering them advice on Chamber members. The business community of Punta Gorda on federal, state and local government issues. The Chamber also runs special seminars for its membership. Each seminar is designed to assist you in running your business more efficiently. Again, check out our Chamber events section. We run Trolley tours around the city during Season. The Tour is designed to showcase our city and encourage new customers to our businesses. Get onboard by reviewing the Discovery Punta Gorda Page.